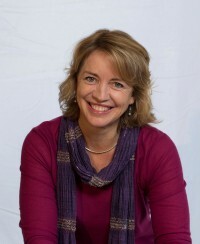 Naomi Reed is an acclaimed story teller, speaker and author. 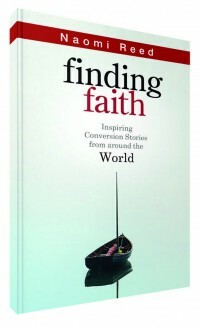 In her latest book, 'Finding Faith', she shares people's stories of meeting with Jesus, from the flat, dry towns of Uganda, to an airport in Singapore and even the Amazon jungle. Jonathan: How did you find all of these stories, where did they come from? Naomi: So it's actually a commission book; my publisher in the UK asked me to write it with the view to show us that God is at work all around the world in such a variety of ways, they said, "Can you go and find these stories?" They didn't really give me a lot of direction as to where to find them, but because my husband and I have lived in a cross-cultural mission situation in Nepal for many years and we know lots of other missionaries in other countries, we actually through our own contacts put the word out. I think I could have kept interviewing and kept finding stories endlessly, which is a reminder isn't it that everyone has a story of God at work in their lives as He draws them to Himself. It was just one by one these stories came up from Iran and Iraq, Austria and Singapore, Nepal, East Africa, the former Soviet Union, the United States and also Australia. So it was a lovely range of places and people and backgrounds and religious backgrounds. There were quite a few with an Islamic background as well as Buddhist and Hindu, New Age and Voodoo and also secular backgrounds as well. Jonathan: Which two stories impacted you the most? Naomi: A young man who grew up in Uganda and his family were very strictly Islamic. He then worked for an Islamic organisation, and his job was to go and disrupt Christian crusades and to evangelise Christians to come back to Islamic faith. He did this in to his twenties until one particular day, he was evangelising on the streets in Kampala and he met a Christian who was trying to do the same thing. They had a conversation but didn't get anywhere, then they compared the texts which they both knew well, the Quran and the Bible. Then as the Christian was walking away, the Muslim man heard a voice saying, "That man is taking something that belongs to you." So he checked his pockets and his wallets and his keys but the voice came again two more times, so he went after the Christian man and told him and he said, "Jesus belongs to you, He's calling you. He wants you, He died for you," and the man from the strict Islamic background had an immediate sense that it was true. After he had tried to disrupt Christian meetings for so long he suddenly on the streets had an instant conversion, knelt down on the ground and gave his life to the Lord. But, he lost everything, it was an incredible journey because he lost his home, his job and family, but went straight back to the streets and started telling everyone about the love of Jesus. One lady in Australia had years and years of questions and difficulties in her personal life and got involved in the New Age and occultist practices and webs of deceit for decades. But underneath all that she still had her questions, and when she was 57 she was camping, on her way around Australia, and she heard two Christians praying. Suddenly she wanted what they had, so she went and found out more and came to faith. Her journey took a very long time and she came to faith at 57. But then she spent 23 years in Turkey in a prayer ministry with YWAM. So it's not just a one-off event; God is working throughout our lives as we respond to Him. Jonathan: In terms of the various different people you've talked to, what difference has Jesus made to these people's lives? Naomi: I often ask people, "What questions or longings do you have about life or God before meeting Jesus?" People had questions about dying and suffering and eternity. There was also strangely a real commonality and a lot of people talked about how they felt like they couldn't be good enough; they tried but they still couldn't ever be good enough. People from Muslim backgrounds, they tried to do more good to outweigh the bad, but they questioned if they could ever do enough good to outweigh the bad. It was all sorts of different backgrounds including Hindu and Muslim always had a common line of thinking that they weren't good enough. They told themselves they need to do it, but they just couldn't do it themselves. Coming to understand the truth that we truly aren't good enough, and that we do fail and we do sin and there's nothing we can do that can be good enough for our holy God. But He loves us so much and has made us a way through Jesus. When that is understood, there's a profound sense of finding answers to that and a releasing of joy, peace and comfort. Jonathan: We often hear from Christian believers around the world that there are lots of countries where believers face real challenges to having a Christian faith. Was that something that was a theme coming through from some of the people you spoke to? Naomi: The man in Kampala who made an on the spot conversion, he lost everything including his job, home, wife and daughters. He was out on the streets and he had one bag and was living in his car. He stayed there for two weeks and he had nothing; he was there until he was able to get another job. Facing the loss of potentially everything in the most dramatic of cases, but in other cases for example there was a couple who grew up in a Hindu village in Nepal. The family doesn't always disown them but they also don't understand and it makes it difficult to maintain relationships. There's this on-going question about how to respect and love family members well, as a Christian. That is a constant prayer-point for people in many parts of the world who haven't necessarily been 'cut off', but they need wisdom to know how to keep those relationships strong. There are certain things that I noticed throughout the stories when they came to faith in Jesus, which is that the family members saw a change in them for the good. Eventually, regarding the Muslim man in Kampala, 14 years later his father also came to faith in Jesus because he saw the good in his son's life. He helped a medical team to help in a very poor village in a different part of Uganda. The father saw the outworking of his son's faith in Jesus through those acts of service and love and compassion, and he came to faith through that. In a lot of the stories, while really difficult and needing great wisdom at the time of conversion, as time continues they see family members also come to faith, particularly when those connections remain strong, which emphasises how important that is. Jonathan: One of the main things you wanted to show in your book is how people are meeting Jesus today in lots of different ways. Naomi: Yes, and to encourage people that God is at work in this way, and we should almost look for it, pray for it and expect it. Sometimes, wherever we are we can get a little bit absorbed in our small world, street or community, especially if things have been staying the same for a very long time. We stop expecting God to be working in the small or hidden things, and the questions and longings we have. This book raises your vision again and reminds you that God is real and alive and is at work in the world, and is passionately pursuing His people, drawing them to Himself around the world. Even for me writing the book, it has helped me to be more deliberate in my prayers and conversations again because I think I can be a little bit "ho-hum" and totally absorbed in other things. Jonathan: Did you meet these people yourself? Naomi: A bit of both. We went to northern Iraq and met Hama and his wife, and we went to Singapore and we met Christie. We met a couple in Nepal because we live in Nepal, and we went to the outback in Australia and met an indigenous man. A couple of the others I did via Skype. There was a couple in a former Soviet Union country, which for privacy reasons I cannot name, and also the man in the United States. The man from Uganda just so happened to be travelling through Sydney, and friends of ours connected me to him. There was a couple of lovely ordained moments where the story was able to happen just because of connecting flights and travelling around the world. Jonathan: You mentioned that one of the outcomes for you is a desire to pray more for these believers. How have those encounters changed you? What do you think Jesus has done in your life through these experiences? Naomi: As I said it has caused me to pray more, and in some ways it reminds me of my first love for Jesus as well. There was one man grew up in Iran, in Tehran, which is the capital. He moved to India for university. He heard Christian radio while he was in India. He was listening and he heard about a Bible correspondence course. He was interested in it not because he wanted to be a Christian, but because he wanted to increase his knowledge. He applied for this Bible correspondence course and he got the material. He described to me reading it for the first time, and he said to me, "Naomi, I read the gospels and I just fell in love with Jesus." As he was saying it to me, he had such a genuine response. It took me back to my first response to the gospel of Jesus. I was 12 years old, at a Christian group in high school. I hadn't heard of Him before and I went home and I read the gospels myself and it was exactly the same experience. Part of the impact on me is taking me back there and reminding me of my first love, and also reminding me of the power of the Word of God in the Bible; that God speaks to us through His word, and draws Jesus to us through His word. In each of the 13 chapters, every person describes the questions or longings they had beforehand. For example, one person said she had questions about dying and couldn't imagine a time where there would be no more of her. And my prayer is perhaps it could be a book that can be passed around and maybe a person who isn't a believer in Jesus and perhaps in one of the chapters they find their own questions. That would be an answer to prayer for me, that someone will read it and actually come to faith themselves in Jesus, just from reading somebody else's experience. As humans, wherever we are in the world, we all have really different backgrounds, including great wealth, others great poverty and different religious backgrounds and world-views. But we are still humans together, and we have these commonalities of questions about life, death, friendship, belonging and home. I think it is a book that can draw us together as well, and find our shared questions and therefore our shared answers in Jesus. Jonathan: Would you say you've written this book for those who perhaps already have a faith and those who don't? Naomi: I hope so, yes. I think primarily the first person who will pick it up will be a person who already has a faith and wants to be inspired and encouraged by God at work around the world. I hope that they might pass it on to someone else and say, "Hey read chapter seven, it sounds a little bit like you." People who are searching might just read it out of interest. People who may be antagonistic towards Christianity may not read it, but you never know what God does using stories, so it might end up in all sort of places. That's what I hope. Jonathan: How can people get a copy? Naomi: It's available on Amazon or via my website naomireed.info. Jonathan Bellamy is the CEO of Cross Rhythms. He presents the daily City Drive radio programme and is married to Heather.